Throughout this Policy, "FM Approvals" refers to FM Approvals LLC, a Rhode Island limited liability company, including its subsidiaries and affiliates (also referred to as "we", "us", or "our"). You may give us information by completing forms or by corresponding with us by phone, e-mail or otherwise. information posted in community discussions and other interactive online features. This includes information you provide when you register to use our sites, subscribe to our services and when you report a problem with our sites. When you provide Personal Information, you consent to our collection, use and to the disclosure of this Personal Information to appropriate third parties for the purposes described in this Policy. We may also collect other data, such as browser and device information, app usage data, information about your use of our sites collected through cookies and other technologies, pixel tags, web beacons, web server logs, your IP address, geographic location, operating system, device type and unique devise identifier along with other technologies, demographic information and aggregated information. With regard to each of your visits to our sites, FM Approvals may automatically collect certain types of information. When you visit our sites we may use automated technologies such as web server logs to collect IP addresses, "cookies" and Web beacons. The collection of this information will allow us to improve the effectiveness of FM Approvals sites and our marketing activities. In general, you are not required to submit Personal Information when you visit our sites. However, we may ask you to provide certain Personal Information if you wish to receive additional information about our products, services and events. If you request electronic communications, such as an e-newsletter, you will be able to unsubscribe at any time by following the instructions included in the communication. FM Approvals collects information during your visit to an FM Approvals site through the use of cookie technology. Using cookies allows us to improve our sites, compile aggregate statistics, distinguish you from other users of our sites and helps us to provide you with a good experience when you browse our sites. A cookie is a piece of programming information contained in a very small text file that is placed in your Internet browser or elsewhere on your hard drive. You can control acceptance of cookies by modifying your Internet browser preferences. You have the ability to accept all cookies, to be notified when a cookie is set or to reject all cookies. Please note that, if you choose to block all cookies (including essential cookies) you may not be able to access all or part of our site and may be unable to use those services or engage in activities that require the placement of cookies. In addition, on some occasions, FM Approvals may use tracking technologies such as web beacons, to collect information about your visits to FM Approvals sites. These are small electronic images embedded in web content or e-mail messages and are ordinarily not visible to users. Like cookies, this tracking technology enables us to track pages and content accessed and viewed by users on FM Approvals sites. The use of these technologies also helps us to provide you with a positive experience when you browse our sites, and it also helps refine our content and personalize your experience. FM Approvals sites may from time to time, contain links to and from other sites which are outside our control and are not covered by this Policy. FM Approvals does not accept any responsible or liability for the privacy practices of linked sites. Please note that these sites have their own policies and we encourage you to review the privacy policies of each site you visit, before you submit any information. The operators of these sites may collect information from you which will be used by them. When you engage with us through social media sites or through features such as plug-ins or applications on FM Approvals sites that integrate with social media sites, you may choose to link your account with us to third party social media sites. When you link your account or engage with us on or through third party social media sites, plug-ins, or applications, you may allow us to have ongoing access to certain information from your social media account (e.g., name, e-mail address, photo, gender, birthday, the posts or the 'likes' you make). If you post information when you interact with our sites through social media sites, plug-ins or other applications, depending on your privacy settings, this information may become public on the Internet. You can control what information you share through privacy settings available on some social media sites. If you require more information or details about your privacy settings on a particular social media site, please refer to the privacy setting information available on the social media site for which you are using. When accessing our sites on a mobile device, we may collect your unique device identifier and mobile device IP address, as well as information about your device's operating system, mobile carrier and your location information. By providing us with your mobile device phone number, you consent to its use for the purposes identified in this Policy, including receiving notifications from us on your mobile device. If you previously chose to receive push notifications on your mobile device from us but no longer wish to receive them, you can manage your preferences either through your device or the application settings. If you no longer wish to have any information collected by the mobile application, you may uninstall the application by using the uninstall process available on your mobile device. We use your Personal Information to offer and administer our services and products. These may include, but are not limited to, product certification and testing services, audits, quality control, reports, Approvals Guides and RoofNav. With your consent, we may also use this Personal Information for additional purposes, including providing you with information about other similar services and products we offer. When you request services, we ask that you provide accurate and necessary Personal Information that enables us to respond to your request. In doing so, you consent to our collection, use, storage and to the disclosure of this Personal Information to appropriate third parties for the purposes described in this Policy. While the Personal Information we collect may come directly from you, it may also be provided by our affiliates or other third parties (such as employers, insurance companies, insurance brokers or agents, credit organizations, financial institutions, etc.). If you provide Personal Information about other individuals (such as employees, dependents, etc. ), you must obtain their consent prior to your disclosure to FM Approvals. We do not rent, sell or otherwise disclose Personal Information about our site visitors with unaffiliated third parties for their marketing use. We may share Personal Information with third parties including, but not limited to, affiliates and subsidiaries, credit and fraud reporting agencies, debt collection agencies, insurers, reinsurers, insurance brokers, other insurance intermediaries, third parties that provide data analytic services, lawyers and accountants and others involved in the claims handling process, sub-contractors, suppliers and service providers. These third parties are restricted from using or disclosing your Personal Information except as necessary to perform services on our behalf or to comply with legal requirements. If you are a resident of the State of California, USA, you have the right to prevent us from disclosing your Personal Information to any third parties (including our affiliates or subsidiaries) for the third parties' direct marketing purposes, by Notifying Us. If you are a resident of the State of California, USA, you have the right to notify us of any change to the Personal Information that you provide to us in connection with your use of our sites by Contacting Us. Due to the global nature of our business, the Personal Information FM Approvals collects may be transferred, processed and stored across geographical borders. For instance we may transfer Personal Information locally or overseas, including but not limited to, the United Kingdom, Australia and Singapore. By providing us with your Personal Information or using our sites, you consent to this transfer, storing, and processing of your Personal Information across geographical borders. These transfers are governed by European Union (EU) standard contractual clauses, the U.S./EU Safe Harbor Framework and/ or equivalent data transfer regulations to protect the security and confidentiality of Personal Information. We will take all steps reasonably necessary to ensure that your Personal Information is treated securely and in accordance with this Policy. By using secure servers and SSL technology, we will use reasonable, administrative, technical and physical safeguards to protect Personal Information. Unfortunately, the transmission of information via the Internet is not completely secure and we cannot guarantee the security of your Personal Information transmitted to our sites; any transmission is at your own risk. Once we have received your information, we will use reasonable procedures and security features to try to prevent unauthorized access. Moreover, we are not responsible for the security of information you transmit over networks that we do not control, including the Internet and wireless networks.  FM Approvals takes reasonable steps to keep your Personal Information accurate and complete. In order to assist us with this, you should notify us of any changes to your Personal Information by Contacting Us or at the postal address listed in the "Contact Us" section below. Please include your current contact information, the information you are interested in accessing and your requested changes. We will provide you access to the Personal Information requested, unless it infringes on the privacy of other individuals and subject to reasonable limitations provided by law. If we do not provide you with access, we will provide you with the reason for refusal and inform you of any exceptions relied upon. FM Approvals has implemented reasonable physical, technical and administrative security standards to protect Personal Information from loss, misuse, alteration or destruction. maintaining appropriate site protection and security measures. Further information about our data security practices can be provided on request. Unfortunately, the transmission of information via the Internet is not completely secure, and we cannot guarantee the security of your Personal Information transmitted to our sites; any transmission is at your own risk. Once we have received your Personal Information, we will use reasonable procedures and security features, such as secure servers and SSL technology to try to prevent unauthorized access. Moreover, we are not responsible for the security of information you transmit over networks that we do not control, including the Internet and wireless networks. For changes, such as modifying or withdrawing your consent or modifying your Personal Information, Contact Us or at the postal address listed below. Note that if you do not give us consent or subsequently modify or withdraw your consent, we may not be able to provide you with the products or services you want. We reserve the right to change this Policy. Any changes we may make from time to time will be posted on this page. We encourage you to frequently review this Policy to see any updates or changes to our privacy practices. Your use of this site constitutes consent to the practices described in any updated Policy. This Policy was last updated September, 2015.